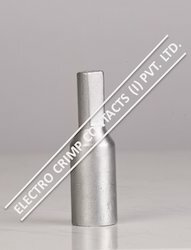 Manufacturer & Exporter of Copper Reducer Type Terminal End. Our product range also comprises of Cable Glands, Cable Lugs and Cable Terminal Ends. We are one of the well-known exporter, manufacturer, supplier and trader of Copper Reducer Type Terminal End. The offered copper reducer type terminal end is very useful for reducing the pipeline width at the terminals of the pipelines. Our supplied copper reducer type terminal end is made from high-grade raw materials, sourced from very trusted vendors in the market. The offered copper reducer type terminal end is available at very cost effective market rates. Looking for Copper Reducer Type Terminal End ?